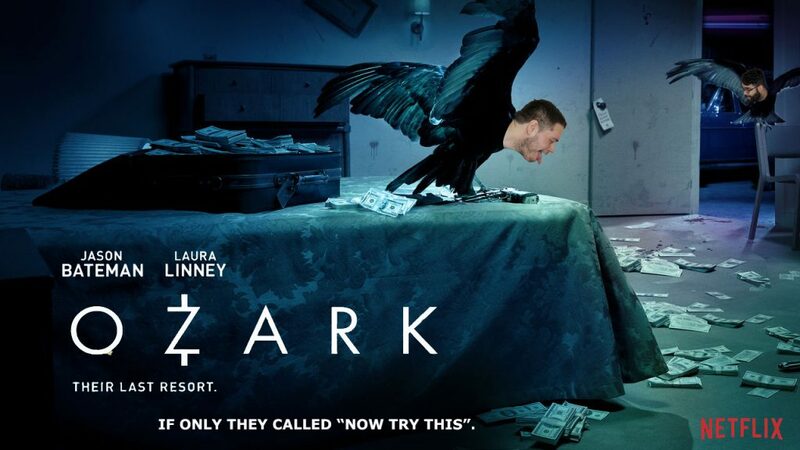 Episode 19 – Marcus challenges Nick to watch the first episode of Jason Bateman’s newest Netflix original Ozark. Will Marcus being able to explain why this show is NOT Breaking Bad? Will Nick’s love for Jason Bateman allow to see past all those years of Arrested Development? Will Marcus be able to hold back everything else he knows about AFTER episode 1? And why is Del so scary! You’ll have to listen to find out!! !